pay monthly website design package for only £35 / month. ranking your website on google for unlimited keywords. managing your website, so you can manage your company. pay monthly websites & digital marketing services. Evoleze is a complete digital marketing agency based in the UK providing the only pay monthly website design package of its kind for £35 per month! All of our websites include ongoing Google rankings (SEO), social media management, website updates & maintenance… all for only £35 per month with no hidden fees or extra charges. We have been in the digital marketing industry since 2002 and have built up a wealth of knowledge and experience in this sector. Our team consists of experienced members with a minimum of 8 years experience in their specific role, including; account managers, social media managers, link builders, content writers, graphic designers and WordPress website designers. Building you a low cost, custom made WordPress website including; hosting, domains emails, eCommerce, SEO and more. All of our websites are created to convert visitors to sales to boost online sales. Providing small-large sized businesses SEO services that deliver results. 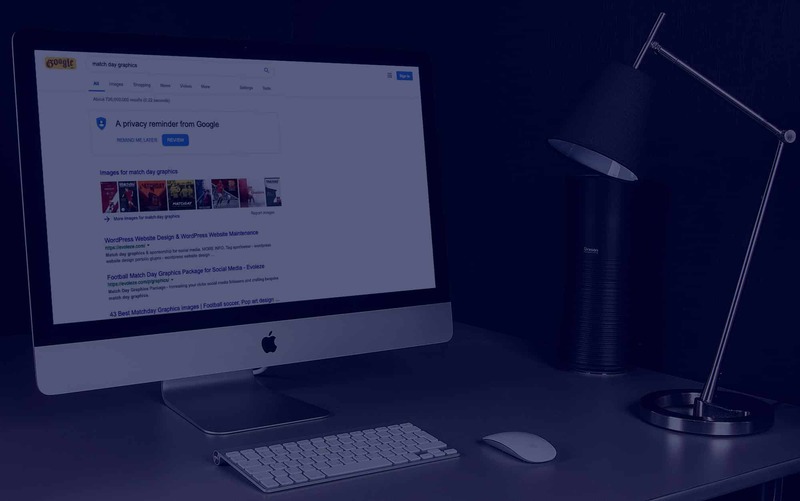 With a wealth of experience in the Google SEO sector starting back in 2002, our team can rank your website on Google at an affordable cost. Managing the day to day running of your WordPress website with ongoing amendments & changes you require. Our maintenance package also includes ranking your website on Google and Social Media updates. Our goal is to provide clients with a complete digital marketing package from the very beginning of your online marketing journey. We only build stunning pay monthly websites that look attractive, have all the functionality the user requires and coverts high percentages of users in to sales. This is why all of our pay monthly websites include a digital marketing package bolted on as standard. From design, or if you already have a website, we the look at driving targeted customers to your website. This is done through our UK SEO services, which are suited for any business type and budget. Our team will perform a full online business audit to determine where we can find new key phrases your competitors are missing and out perform them on Google. This is achieved by our team knowing exactly what needs to be done for each business we work with. Some clients may require a lot of branding to improve exposure, whereas others may require higher levels of working with influencers or inbound links. 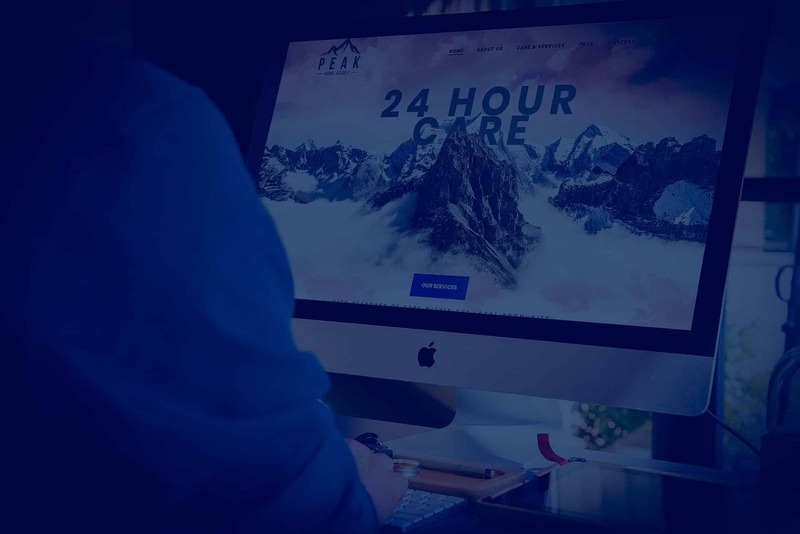 Once your website is build, our team can keep it up to date and running smoothly allowing you to focus on running your company. Our pay monthly website design services are suited for all business types and budgets giving you maximum online exposure. We provide business with the a complete pay monthly website design service including building a company website, looking after the website with your changes and updates, boosting targeted website visitors through Facebook, Twitter, Instagram and on Google. Who are Evoleze? We are a UK based company who have been in the digital marketing industry since 2002. We have a highly experienced and skilled team including; account managers, content writers, outreach specialists, social media managers, graphic design and website designers. All our staff have a minimum of 8 years experience in their role. We provide both local and national UK SEO services designed to fit any budget to deliver results. 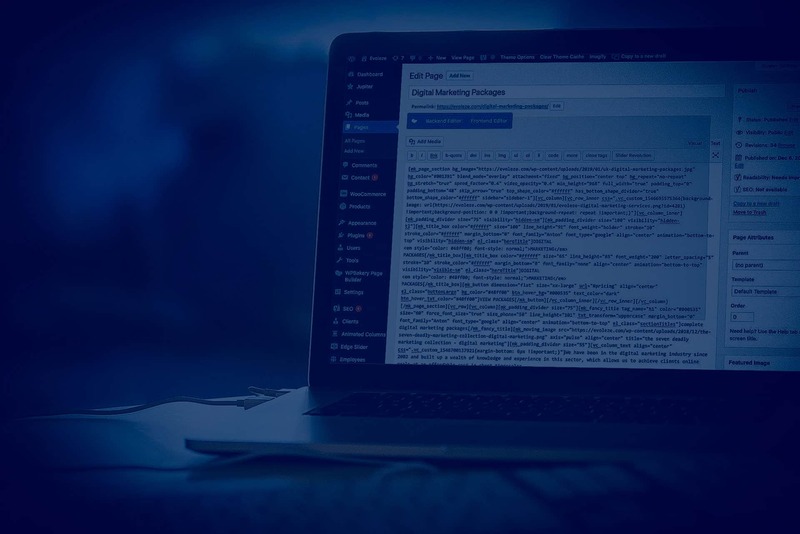 Our packages include a complete business and industry audit, onsite seo to ensure your websites performing to its full potential on the search engines, landing page content and blog writing, high quality link building, social media management and a lot more! We have been ranking clients websites on Google for many years now and we have seen a lot of change with ranking factors and algorithms. It’s important for any digital marketing agency to be on top of all these changes in order to give your business a return on your investment. This is what Evoleze does! Providing you with a low cost pay monthly website solution to get your business online to suit any functionality and requirements. We turn high quality websites round in a matter of days to get you up and running. Low cost WordPress website maintenance services to look after the day to day running of your site allowing you to get on with running your business. Any updates or changes you need to make, send them over and we will execute them within 24 hours. Is It Just About Website Design? Many digital marketing agencies only focus on SEO services (search engine optimisation). This is where you focus only on ranking your website on going, usually by pointing loads of low quality backlinks to a website. This does not work anymore. There are 100’s of ranking factors that Google expects website owners to follow (and loads they do not tell us about) in order to reach the top 3 positions on Google’s first page listings. We make sure you internet marketing service covers all these ranking factors, not just inbound links. But SEO is not the be all and end all of a successful online business. There is content marketing, social media, email marketing, brand awareness and many more important elements for a successful online campaign. Evoleze covers all internet marketing aspects for your business across all of our packages.